Lorena wrote in to introduce me to her handmade wall art using found papers on plywood. She is a talented illustrator and artist that recently relocated from the east coast (NY) to the west (San Francisco) and currently has her pieces online at Velocity Art + Design and in few SF and NY stores. Lorena is currently looking for exposure in other big cities, she'd like to branch out into Boston, Chicago, Miami, and LA. She's asked if we could make some suggestions for her on urban stores or interesting galleries that may be interested in her work? Ones that you have personal experience with only, please. Here's a partial bio, thanks to Velocity, "Lorena Siminovich (born in Buenos Aires) is a San Francisco based artist, designer and illustrator. With a background in graphic design, and an extensive career as an art director in NY for children's products, she also started recently to work in children's books. 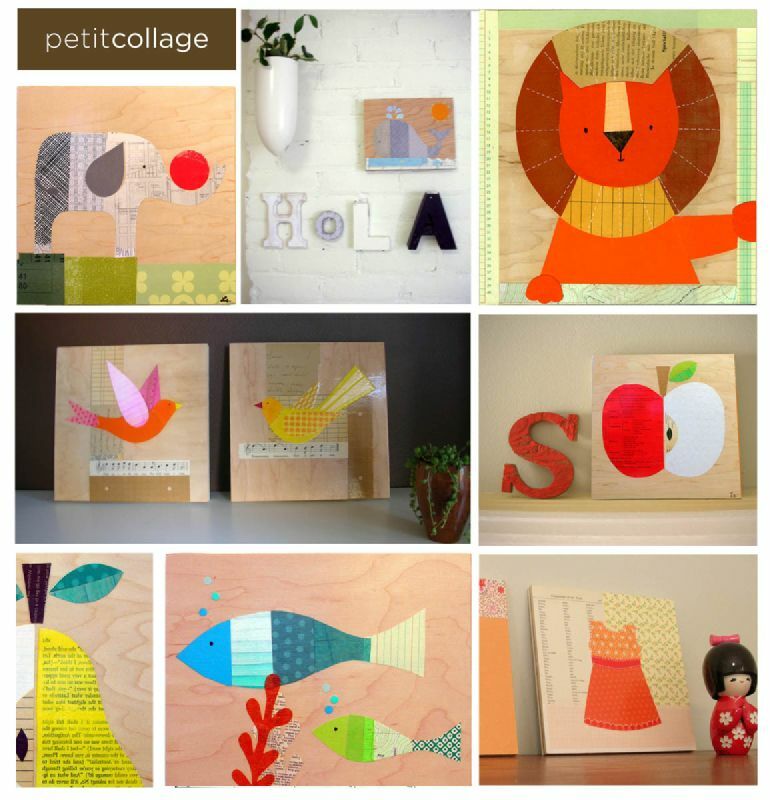 Her latest endeavor, petit collage, started with the idea of offering affordable art for children (and grownups! ), with a contemporary feel." Off the cuff, I can think of several, so I plan to email her right away. I may miss some though. Do you have any in mind? Thanks for writing in, Lorena. Best of success!